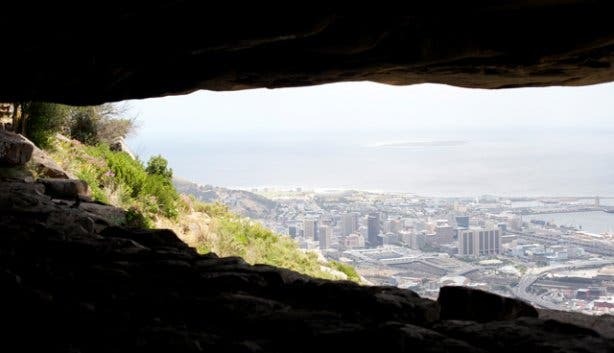 Have you seen the cave from De Waal Drive? 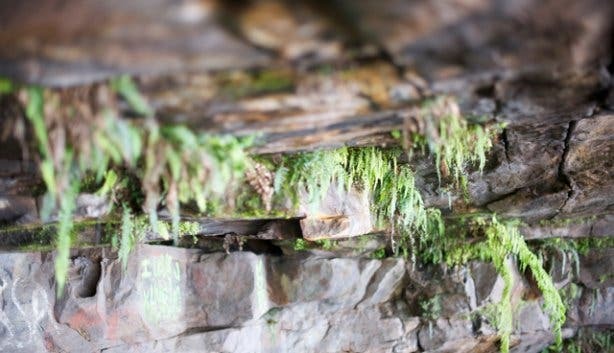 It’s the Woodstock Cave and yes, you can get there by foot. 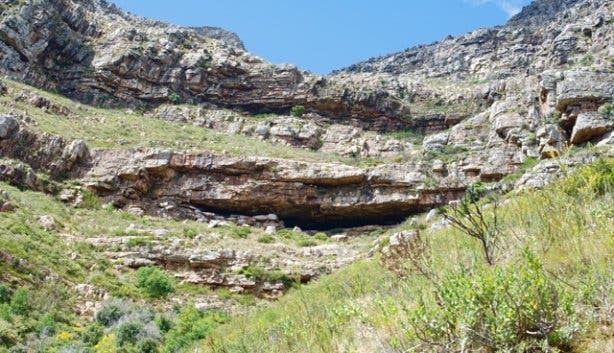 This cave is one of the largest on Table Mountain. 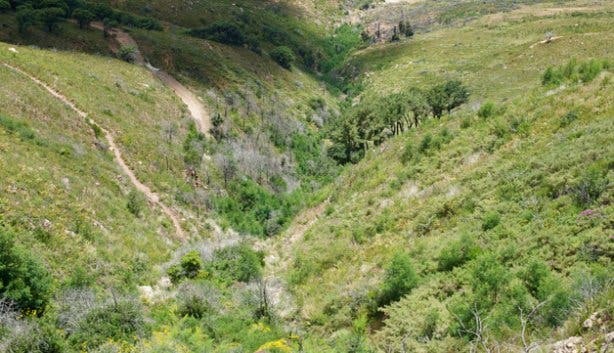 It’s formed by a long horizontal crack (50 metres wide by fifteen metres deep and three or four metres high at the entrance) halfway up Devil’s Peak that can clearly be seen from Woodstock and Salt River. If you’re up for an amazing panoramic Cape Town city, Lions Head and Table Bay view, this is it. 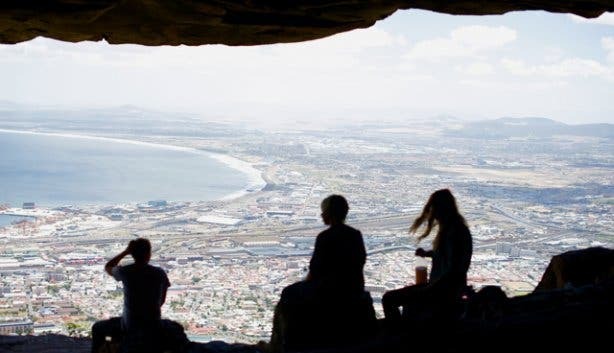 Pack a picnic, put on your hiking boots with the aim to have a picnic with a view in the mouth of Woodstock Cave. It is easily accessible which makes it a popular destination for hikers. "The walk is a short series of zigzags along a path which is rough underfoot, so be sure to wear appropriate boots. High heels or flip-flops would be hopelessly out of place." wrote Mike Lundy in 1998 in the Cape Times. • Picnic. Fill your backpack with goodies and water for a memorable picnic with a city view in the cave itself. • Garbage bag. There are no dustbins, so keep it tidy and leave no trace. • Hiking shoes. To keep it safe, wear hiking boots that give your feet a strong hold. There’s a bit of climbing and a few steep paths so you’ll need shoes with a good grip. • Hats and sunblock. There are patches of shade for you to rest in but the majority of the walk is exposed. It’s a good idea to get an early start to avoid the midday sun. • Camera. The views are incredible and the flowers definitely worth a shot. • Children from ages 12 and on. • Number. Take this numbers up with you just in case. Call Mountain Rescue if you get lost or injured: +27 (0)21 937 0300. 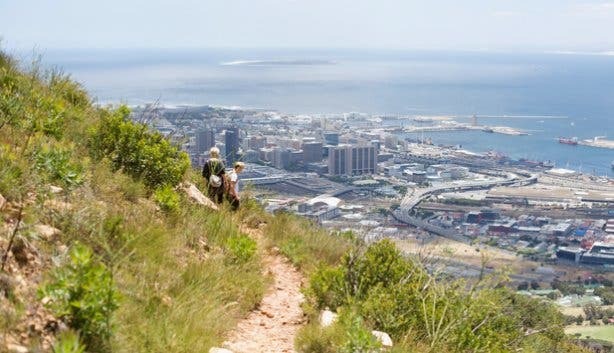 Get to the lower Table Mountain cable station and continue along Tafelberg Road until cars are no longer allowed. Park your car (or continue walking) and pass the road barrier. Walk for a few kilometres along the beautiful tarred road, enjoy the views and colourful flowers. At the end of the tarred section, walk a further 100 metres on the dirt road and you will see a metal gate with stone pillars. The hike up to the cave begins a few steps before this gate; it is a little bit hidden. The route zigzags its way slowly up the slope and will bring you to Woodstock Cave’s mouth. Duration: It is a comfortable one hour walk up to the cave, so plan 2.5 to 3 hours including a picnic at the cave. 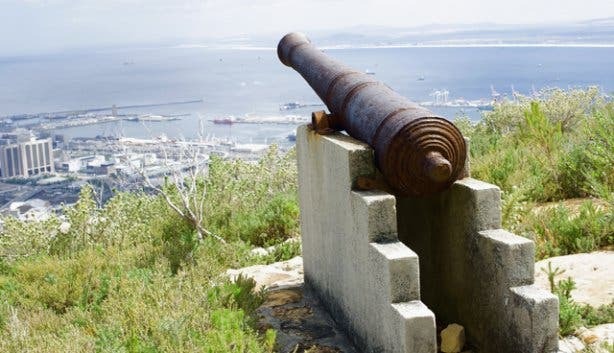 You begin the hike at the parking area at Rhodes Memorial and take the path up towards the Kings Blockhouse. Once there it’s worth stopping for the terrific view. 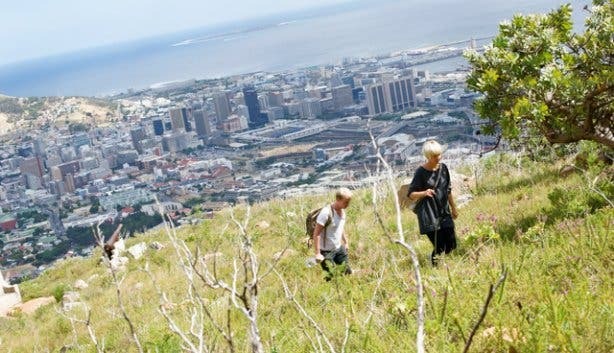 Then follow the path that continues around the mountain and towards Cape Town. After about 10 minutes you pass a ravine and above you is Woodstock Cave. Fynbos, fynbos, fynbos – plant life in abundance. When in flower, the pelargonium cucullatum plants are covered with pinkish, purple flowers and are the most conspicuous pelargoniums in the Cape, especially when growing in dense masses. Another flower to mention is the watsonia with its showy flowers and the bobartia indica, a yellow flower flowering mainly from October to March. You might see lizards sunbathing alongside the road and singing birds flying over your head. During winter there is often a waterfall cascading over the front of the cave. You will find graffiti and apparently sometimes a cult worshipping in the cave. But don’t be bothered. But, be careful. There have been muggings in the area, so read out safety tips for hiking.